We provide paint inspection services in Perth that meet the stringent specifications required by the mining, commercial and industrial sectors. We take great pride in getting the job done correctly and ensure that all products brought to us for inspection always leave our premises in impeccable condition. Your paint or coating overlays may appear to be in good condition, but as professional coating and paint inspectors, it is our duty to make sure your materials are protected and fully compliant with strict industry regulations. Paint inspection requires highly trained and seasoned professionals, and state-of-the-art equipment for accurate paint evaluation. 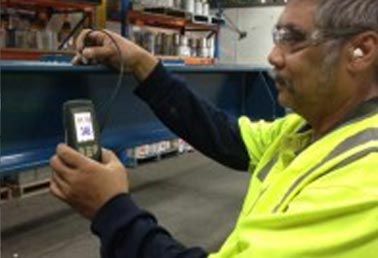 All TLC’s testing equipment is regularly calibrated and serviced to ensure our paint inspector obtains accurate readings and diagnostics for your equipment. Inadequate surface preparation when cleaning or roughening the surface before coating application. Poor coating selection where either the paint or coating that was used isn’t suitable for the material’s surface or its environment. Incorrect application of the coating or paint. Inadequate timing for drying and over coating. When it comes to coating inspection, you can rest assured that our team of experts have you covered. For more information about our first-rate quality paint inspection, please feel free to contact the team at TLC Surface Treatment. We are on hand to assist with all your enquiries.